FRANKLIN, Tennessee—“War has come to America,” Nashville talk radio host Ralph Bristol told the crowd at the fourth stop of his “Second Amendment is Homeland Security” tour event in this Tennessee city, one week after it played host to GOP frontrunner Donald Trump, who delivered a ringing defense of the gun rights at his own rally. “War came to America on 9-11,” Bristol told the audience of well over two hundred who gathered to hear his thirty minute talk and the debut of the tour’s musical anthem, “The Second Amendment Will Survive,” written and performed by 19-year-old singer-songwriter Taylor Bennett. “It may not feel like it, and that’s good. It’s good that it doesn’t feel like war is in the United States. But America is a war zone, whether we like it or not,” Bristol said. Bennett set the tone for the day’s event as she belted out the tour’s anthem, written at Bristol’s request, to the cheering audience. “From Washington to Hollywood, they’re up to no good, trying to take away our guns to protect the neighborhood,” the young songwriter sang. It was a powerful musical message, delivered just one day after President Obama politicized the murder of nine students at an Oregon community college by flying to the small community of Roseburg, Oregon where the shootings took place. “Politicians panderin’ for a vote, they put the good and the bad in one big boat,” Bennett sang, in a stanza written before, but delivered a day after, President Obama threatened to further diminish gun rights through executive actions of dubious constitutionality. Flags waived and eyes glistened as grizzled veterans, families, and youngsters alike listened to the Millennial generation singer-songwriter reaffirm the Constitution and traditional American values. Bennett’s song was a perfect set-up for Bristol, the top rated morning Nashville talk show host on WWTN radio, and his message. “What’s going on here, if you haven’t heard, are two things: One, war has come to the homeland. And second, the Second amendment is homeland defense,” Bristol began. For Bristol, the 12.8 million Americans who have concealed carry permits to carry guns represent the third and final line of defense against our new enemy in the homeland. Our military is the first line, intelligence agencies are the second, and legally armed citizens are the third, he said. “There are 12.8 million concealed permit holders in the United States. That’s five people for every one hundred people. If you’re in a crowd of one hundred people, and an ISIS inspired terrorist or any other troubled soul starts shooting, and there are five of us in that crowd, he won’t get through that first magazine, let alone the second, and the third,” Bristol said. “He’ll get off the first shot, and maybe the second, and maybe the third, but we’ll take him down after that. That’s our promise to you. If you let us be there, if you let us do our duty,” he added. “So to the 12.8 million, whenever is possible, please, never leave home without it,” Bristol concluded. Bristol began the tour, which he expects will continue monthly until the 4th of July, back in August. “I remembered the ISIS inspired killing five of our best in Chattanooga, Tennessee,” Bristol said. “I put myself in the place of the grandparents and the parents, and the great-grandparents, and the brothers and the sisters of the Chattanooga Five … I ditched the moral imperative on tax reform speech I was going to give that night, and I went in with six names [from Thursday, July 16, 2015, the day that] Muhammad Yussef Abdulazeez fired on a military recruiting center in Chattanooga and then drove seven miles to a Navy and Marines Training Center and he shot and killed four Marines and a sailor,” he explained. Bristol then paid tribute to each of the five Americans killed in Chattanooga, by name. “Did we forget the enemy is operating in the homeland, ladies and gentlemen? “ Bristol asked. “That’s the thought that went through my head as I thought of these young people and their families. Did we forget the enemy has come to the homeland? Are we operating under the same rules we did when the enemy wasn’t in the homeland? “ Bristol continued. “And the answer was yes we are. And the answer was, it’s got to stop, and it’s got to stop now,” Bristol explained as the motivation that launched his tour. Bristol then repeated the alarm first sounded by FBI Director James Comey. “FBI Director James Comey stands about 6 foot 8. If he were standing in front of the truck I would have to jump up to see over the top of him right now. His stature is surpassed only by the serious of the warnings he passes along,” Bristol said. “I want to quote him exactly here. He was in a recent interview with CNN. He said ‘ISIL is not your parents’ Al Qaeda. It’s a very different model. By virtue of that model, it’s the threat we worry about here in the homeland most of all,’ “ Bristol said, quoting Comey. “ ‘They’ve adopted a model in a way to use social media to crowd-source terrorism. They have invested about the last year in pushing a message of poison, primarily through Twitter, …that’s a siren song of two dimensions,’ “ Bristol continued, citing Comey’s testimony. “ ‘They’re preaching through social media to troubled souls, urging them to join their so-called Caliphate in Syria and Iraq, and if you can’t join, kill where you are,’ ” Bristol added. “He continued: ‘And Twitter’s a valuable enterprise because it works to sell shoes and sell ideas. It works to sell this message to troubled souls. ..The model is totally different. ISIL is buzzing on your hip. That message is being pushed all day long, and if you want to talk to a terrorist, they’re right on Twitter.’ “ Bristol said, wrapping up his quotes of Comey. “By some estimates, one of the Presidential candidates used this number, as many as 100,000 tweets a day go out to try and recruit those troubled souls, all over the world,and including in the United States, to attack the west.” Bristol noted. “Abdulazeez and people like him are invisible until they attack. Abdulazeez should have been a very happy, successful young man,” he continued. “He was a naturalized citizen from Kuwait. He had a college degree from the University of Tennessee at Chattanooga in engineering. He lived in a middle-upper class neighborhood. He shouldn’t have had a care in the world. And yet, ISIS was able to reach that troubled soul, and send him after our unarmed military in the United States,” Bristol said. Bristol then warned that the enemy is coming to the United States, and their intentions are not peaceful. “How many ISIS inspired or ISIS fighters will be in that group?” Bristol asked. “550 will come here [to Middle Tennessee],” an audience member shouted out. State Senator Jack Johnson (R-Franklin) , the man who succeeded now Rep. Marsha Blackburn (R-TN) in the Tennessee State Senate, served as the master of ceremonies. Johnson told the crowd that Blackburn would have been in attendance had it not been for the recent events in Washington. After Rep. Kevin McCarthy (R-CA) dropped out of the race to succeed Rep. John Boehner (R-OH) as Speaker of the House and the GOP caucus vote was delayed, Blackburn’s name surfaced as a potential candidate to replace Boehner. 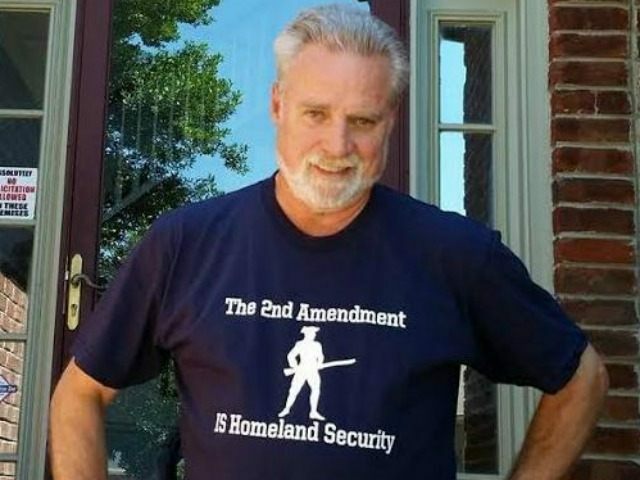 The fifth stop of Bristol’s “Second Amendment is Homeland Security” tour will be held in November at a yet-to-be selected loc ation in Middle Tennessee.